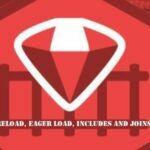 Ruby on Rails is an MVC (Model-View-Controller) based open-source code framework used for developing web applications. 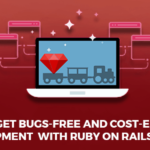 While there are several advanced software available for the purpose, since its release in 2004, Ruby on Rails has gained immense popularity and is slowly becoming the go-to choice of web development framework for businesses, small to large. Many startups and well-established businesses such as Hulu, Twitter, Shopify, Yellow Pages, Airbnb and Dribbble use RoR for their products from over hundreds of frameworks. Ruby on Rails is available as an open source under the MIT license, thus you will not have to spend any money on purchasing it. And unlike most open source software, RoR is a sophisticated server-side web application framework that offers an extensive selection of gems for adding features and functionality. Also, there are software development platforms such as GitHub that shares free gems for various purposes. These gems cancel the need to develop features from scratch, cut down on development time and translate into faster project completion. RoR as a framework is guided by the principles of simplicity and speed. It has a structured database and is equipped with an abundantly vast array of tools that help with basic functionality. Also, it has several modules and ready-to-use plugins that cut down the time and effort needed to write boilerplate codes. These features help developers put together complex and large-scale web solutions without any delay. RoR uses ‘clean’ programming language and adheres to DRY (Don’t Repeat Yourself), KISS ( Keep It Simple, Stupid) and programming best practices that ensure high-quality, bug-free development. The framework encourages a test and behaviour-driven approach which when strictly followed, develops superior quality software architecture with 100% code coverage. The good quality and consistency of the code also mean that the developer will be spending lesser time finding and fixing bugs. RoR follows a distinctive modular structure that divides the system into gems and modules. Which means that if an application is generating high traffic, you can divide it into functional blocks or shift its database to a Cloud server. This means that there is a scope for ramping up the services in case of increased traffic in the future. 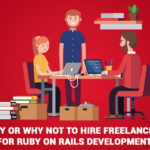 Ruby on Rails has an active and fast-growing community that is actively updating the technology and contributing to the progress of the software development industry. The framework consists of plugins and modules for diverse needs, cutting down the development time by less than half when compared to other software. In spite of being an open source software, there is no other technology that can match RoR. in terms of quality and security. The credit goes to the RoR community that keeps the software up-to-date and ensures the security of applications and plugins prior to release. 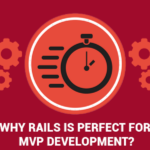 Ruby on Rails technology offers unparalleled quality and workflow efficiency required to create and deploy amazing products and services. Its popularity with startups can be traced back to the benefits of the framework – economic, fast-paced and agile – being aligned with core startup requirements. RailsCarma truly identifies the sophistication and efficiency of products created on RoR. Which is why we leverage the above-discussed benefits of the RoR framework to take business web and mobile-based ideas up a notch. We have a plethora of experience in delivering tailored business solutions across various industry verticals. 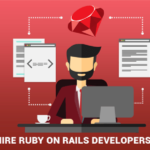 Contact us for full-cycle Ruby on Rails development and support solutions.